I’m in Utah digging up dinosaurs! But also, one of the last big chunks of my PhD thesis has just been published online at the Journal of Systematic Palaeontology. They are generously allowing free access to the paper through the end of August, so head on over and grab a copy while it’s free! This time, I’m taking all of the knowledge gained from my previous taxonomic revisions, adding in some more taxa, and doing a revised phylogenetic analysis building on previous analyses to see how everyone shakes out and to learn a little bit more about ankylosaurid biogeography. I’ll cover some of the taxonomic stuff over the next few posts, and finish off with the big picture of ankylosaurid evolution. I’ve talked previously about the ankylosaurs of Mongolia, but I’ve also had the opportunity to study some of their friends from across the border in China. In particular, I got to see lots of specimens of Pinacosaurus, both from the Alag Teeg bonebed in Mongolia, and from Bayan Mandahu in China. Because Pinacosaurus specimens are relatively abundant and usually well preserved, there has already been lots of descriptive work on this taxon, including on the skull (and here, and here), hands and feet, and general postcrania. Baby Pinacosaurus are so teeny tiny! This one is from Bayan Mandahu and was collected during the Canada-China Dinosaur Project back in the 1980s. I’ve discussed just a few new points about Pinacosaurus, especially about how we tell the two species of Pinacosaurus apart. Pinacosaurus grangeri is known from lots of specimens, almost all of which are juveniles; it has relatively short horns at the back of its skull, a constriction in the snout between its nose and its eyes, and a notch in the rough ornamentation above each nostril. Pinacosaurus mephistocephalus is known from just one specimen (also a juvenile), and it has long squamosal horns, no constriction in its snout, and no notch in the ornamentation above each nostril (it looks like it does on one side, but I think this is just damage given that it is not present on the other side). Both species are known from Bayan Mandahu, and so it is reasonable to ask whether or not these could represent the same taxon – given the differences in skull morphology, I suspect we’re not looking at intraspecific variation here, although more specimens of P. mephistocephalus would be very helpful in this regard! Crichtonsaurus is another cool ankylosaur that has received surprisingly little attention given its Jurassic Park affinities. Two species have been named: Crichtonsaurus bohlini (the type species), and Crichtonsaurusbenxiensis. Crichtonsaurus bohlini is, unfortunately, a very incomplete jaw that does not bear any diagnostic features, and so we argue that Crichtonsaurusshould be considered a nomen dubium. Crichtonsaurus benxiensis, on the other hand, is a great specimen with a really good skull and a fair bit of the postcrania, and the skull has some unique features that make it easy to distinguish from other taxa, most specifically the upturned quadratojugal horns. We’ve proposed the new name Crichtonpelta benxiensis for this material – Crichtonsaurus was a good name and we wanted to keep the replacement name similar, so now we have Crichton’s shield instead of Crichton’s lizard. 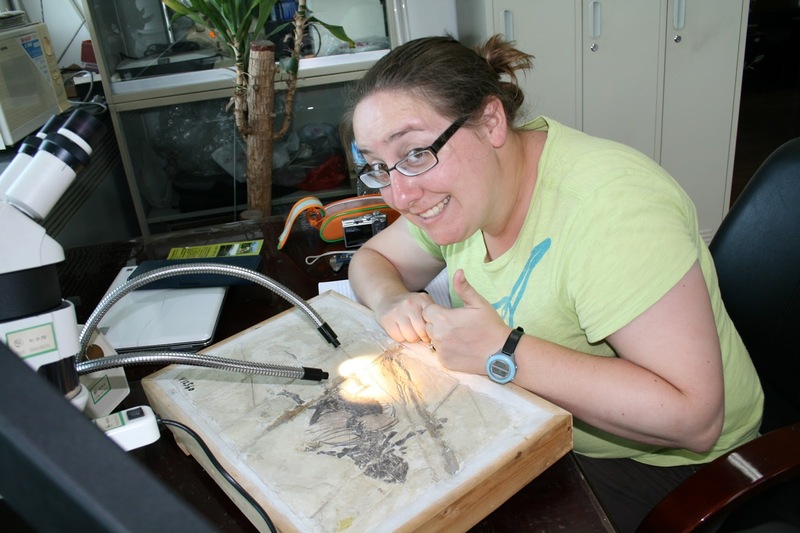 During the Flugsaurier symposium in 2010, while I was visiting Beijing and the IVPP, we took a field trip out to Liaoning and visited the Sihetun Fossil Site. It has a cool museum, including a mounted Crichtonpelta skeleton! I don’t think this specimen has been described, but it does corroborate certain aspects of the holotype skull. Crichtonpelta seems to lack discrete caputegulae (tile-like ornamentation) on its skull, which gives it a similar appearance to Pinacosaurus. I don’t think the osteoderms have been placed quite correctly on this skeletal mount – I think they’ve been tipped on their sides so that the keel forms part of the ‘base’, giving it a somewhat stegosaur-like appearance. I’m going to talk more about Liaoningosaurus in a few months, but it is one cool little ankylosaur! At only about 30 cm long, the holotype is one of the smallest known ankylosaur specimens and probably represents a very young individual. There may be a few osteoderms in the cervical/scapular region, but that’s about it. I’ve previously argued that the putative plastron in this specimen is more likely skin impressions, which is still pretty cool because we don’t have a lot of belly skin for ankylosaurs. I also wanted to give a shout out to here to Chuanqilong, a larger ankylosaur from Liaoning that was described last summer and which didn’t make it into my thesis but which I did include in the revised phylogenetic analysis in the final paper. Here’s Chuanqilong, from Han et al. (2014). Let’s finish off this post today with a triad of interesting but enigmatic ankylosaurs. 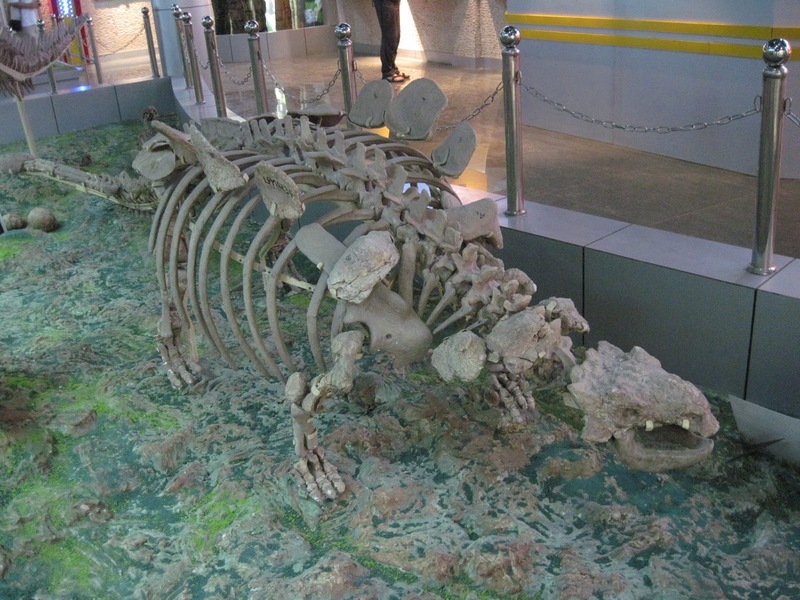 Dongyangopelta and Taohelong are relatively new entries to the world of ankylosaurs, with both taxa appearing in 2013. Neither are particularly complete, but they are interesting because both species possess chunks of fused osteoderms, which would have been found over the pelvis and which are most commonly encountered in nodosaurids and ‘polacanthids/polacanthines’, and are presently unknown in ankylosaurids – and indeed, Yang et al. described Taohelong as the first example of a polacanthine from Asia. Nodosaurids (including ‘polacanthines’ as basal taxa within this clade) have been tentatively identified from Asia previously (an interesting but fragmentary specimen from Japan may be a nodosaurid), but to find a Polacanthus-like animal in Asia is unexpected and very interesting. The two species can be differentiated based on the morphology of these pelvic shield pieces. Dongyangopelta comes from the Chaochuan Formation, and another ankylosaur, Zhejiangosaurus, had been named from that formation in 2007; it may eventually shake out that Dongyangopelta is a junior synonym of Zhejiangosaurus, but in the absence of overlapping diagnostic material we opted to keep these taxa separate for now. Pelvic shield fragments – Dongyangopelta redrawn from Chen et al. (2013), Taohelong redrawn from Yang et al. (2013), and Sauroplites redrawn from Bohlin (1953). Sauroplites, on the other hand, is a very old name that has been largely overlooked in recent assessments of ankylosaurs. The material was originally described by Bohlin in 1953, but sadly the whereabouts of the original material is unknown today (although there are casts at the American Museum of Natural History). I think Sauroplites was overlooked for a while because it’s based off of osteoderms alone, and it’s hard to assess diagnostic characters in osteoderms sometimes because they vary so much along the body. This is partly why I like cervical half rings and pelvic shields – in these structures, you can understand the positions of the osteoderms on the body and directly compare patterns and morphologies across different taxa. Supposedly, the osteoderms for Sauroplites were preserved in their original positions when the specimen was excavated, and if so, it’s a bit surprising that more of the skeleton was not preserved. 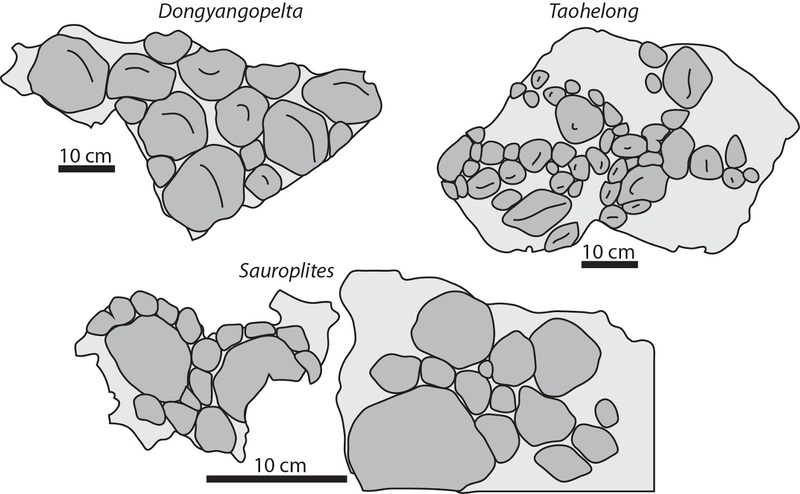 Bohlin correctly identified some of these pieces as elements of the sacral armour, and the morphology of these pieces can be used to differentiate Sauroplites from Taohelong and Dongyangopelta, and we consider Sauroplites to be a valid, but poorly known, taxon. It’s good to revisit poorly figured and fragmentary taxa from time to time, because new discoveries might help put those pieces in context. Next time: we head south! See you then! Nice write up and photos!! 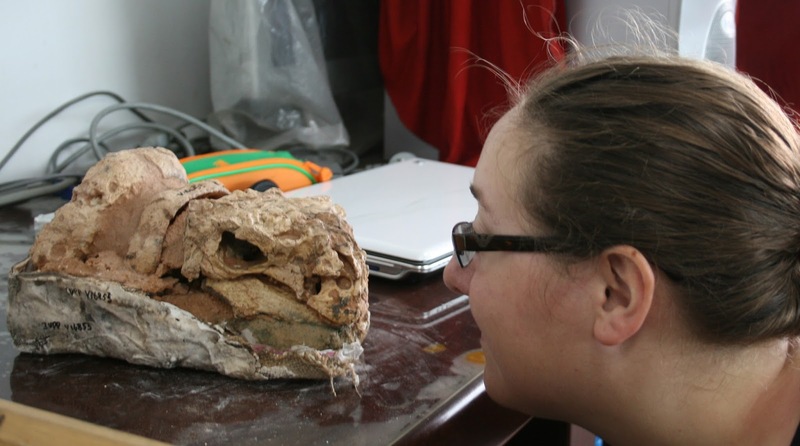 Do you have a take on the new paper on “slurping” pinacosaurus/paraglossalia paper by Hill? Thanks! 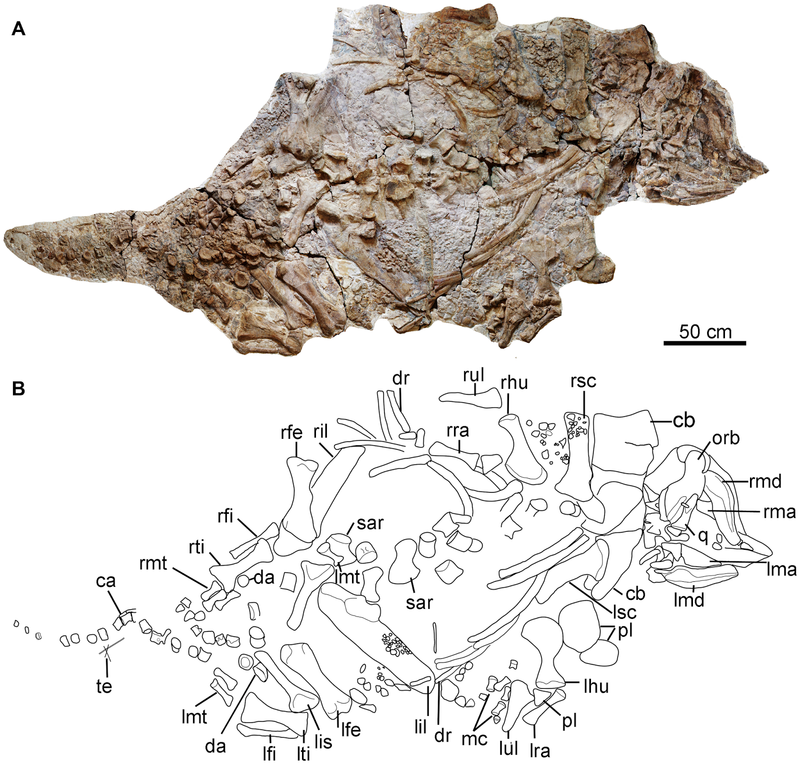 As for Hill's new paper, I think it's awesome – the paraglossalia in that specimen of Pinacosaurus are totally weird, and I think it's safe to say that ankylosaurs were doing *something* weird with their diet. I'm not completely opposed to a slightly omnivorous diet for ankylosaurs, perhaps something incorporating a good amount of arthropods. The weird paraglossalia, reduced teeth, and deep vomer make for a strange mouth.